Nowadays peoples from various countries are very much interested in dental tourism especially in South India.With the Advent of dental Tourism, there is growing part of health care providers.In the recent years people select second line of cities like thanjavur, mudurai,kumbakonam particularly thanjavur is well known for its ancient and cultural heritage. Thanjavur is a royal and historic city which is known as the 'Rice Bowl of Tamil Nadu' and is the granary of South India. Thanjavur is sited at a distance 330 km from Chennai in Tamil Nadu.The Brihadeeswara Temple, situated in the district of Thanjavur, is one among the temples of the “Great Living Chola Temples”, a UNESCO approved World Heritage Site. The foundation of the temple is believed to have been laid in 1002 CE and was completed in 1010 CE by Rajaraja Chola I of the great Chola dynasty. One of the largest of its kind, the Brihadeeswara Temple is a highlight of the glorious architectural talents and of the skillful technicians during that era. Today, Thanjavur is one of the significant sites of South Indian art and architecture and with its fascinating history, ancient temples and monuments, it is a major attraction for visitors from all over the world. Thanjavur paintings are renowned all over the country for their exclusive style. Besides this, Thanjavur district is also famous for Carnatic music and the musical instruments made from jack-wood. Our centre is centrally located in Thanjavur,Thanjai dental centre in rohini hospitals close to mani mandapam,one of important landmarks in thanjavur and in M.R hospitals ,at the very next busstop to Rohini hospitals. Thanjai Dental Centre has an ideal combination of services available for you. With us you can get any type of dental treatment that you want, no matter how complicated it is. At Thanjai Dental Centre you can get all your dental treatments done at a very affordable price. You could not have afforded any specialized dental treatment in your country, but in India with us it is possible and that too with a bonus - within the same budget you can combine a trip in India. For dental tourism there are several cities in India offering it, of course in the capital cities.But nowadays ,secondary cities like Thanjavur are preferred more by the tourists as we offer trained dental experts, latest dental technology and world class facilities,But at much lower rate than the capital cities.Besides thanjavur is well known for its ancient heritage is one the main tourist attractions in south india Attached to our centre, the medical tour operator will offer you special travel packages specially designed for international patients. Patients from abroad apart from dental care, can have medical checkup so that medical, dental treatment and tourism are all fulfilled under one roof. We in collaboration with tour managers will see to your accomadation needs. The stay can be a star category, budget class or in a different environment like home stay with native food. As many dental procedures are time consuming and should have food restriction. 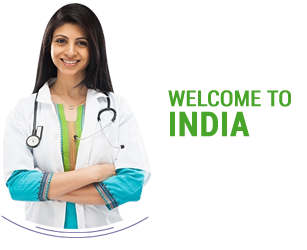 our professional team follow and provide healthy food protocol prescribed by doctors and under guidance of nutritionist. patients while visiting south india can start treatment in one place and can schedule the dental appointment in next tourist place as we have our team of dental experts to guide you throughout if you opt for it. Distance between Thanjavur to Kodaikanal is 244 km by Road and 170 km by Rails. 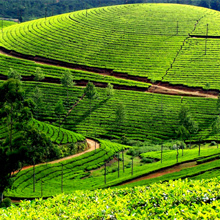 Aerial distance is 180 km.Kodaikanal is one of the most beautiful hill stations of India. It is proudly called as the princess of hills with its steepy mountains, rocks, dense forests and lovely lakes. This place is noted for kurinji flower which blooms for once in every 12 years. Distance between Thanjavur to Kumbakonam is 40 km by Road along with an aerial distance of 33 km.Kumbakonam is also known as kudamooku, kudanthai, Kumbakonam is situated in thanjavur district of tamilnadu. 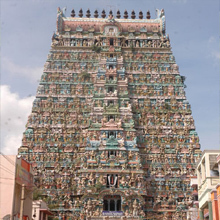 It is 2nd biggest temple town of tamilnadu. 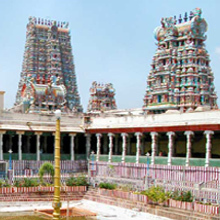 Kumbakonam is very famous for Navagraha temple, Hindu temples and mahamaham tank. The aerial distance from Madurai to Thanjavur is 149 km while the road distance between Madurai to Thanjavur is 201 km.By Train it is 210 Km. Madurai is a Heritage Temple City, where thousands of tourists flock everyday – not only to pay a visit to the popular Meenakshi Amman Temple and other temples, but also to enjoy the hospitality of South Indian people. The road distance between Thanjavur to Ooty is 337 km, the aerial distance from Thanjavur to Ooty is 275 km. The town's economy based on tourism and agriculture, manufacture of medicines and photographic film. 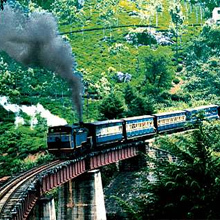 Town is connected to the rest of India by road & rail, Its historic sites and natural beauty attract tourists.It is a popular hill station located in Nilgiri Hills. The driving distance between Thanjavur and Tiruchirappalli is 58 km, while the aerial distance from Thanjavur to Tiruchirappalli is 48 km. By Train it is 50 Km. 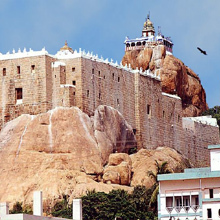 Trichirappalli city is situated on the banks of the river Cauvery is the fourth largest city in Tamil Nadu.The most famous land mark of this bustling town is the Rockfort Temple.